Magic or magiC — Do Culturally Specific Sources Inform Differences in the Representations of Magic and Its Uses in Western and Chinese Fantasy RPGs? Since the dawn of video games, we have been teleported into one wonderful imaginary world after another. In worlds represented by role-playing games in fantasy contexts, i.e. fantasy RPGs, players can harness and wield powerful supernatural magic which are almost unachievable in real life. The magic generally involves magic powers (sorcery, wizardry, witchcraft, etc.) and various magical items. As Eddo Stern pointed out is his essay (Stern, 2002), these worlds in western fantasy RPGs are identically set in pseudo-historical magical medieval realms. In fact, their oriental counterparts, Chinese fantasy RPGs also have similar world settings of such fictional universes, but in culturally different contexts. Compared to western fantasy RPGs, the Chinese ones have a much shorter history and smaller quantity. While western players were immersed in the three classics—Ultima (first title release in 1981), Wizardry and Might & Magic series, Chinese players were still awaiting the advent of probably the first Chinese RPG—Xuan-Yuan Sword (first title released in 1990). As the evolution of video games continues, many more finely crafted fantasy RPGs emerged. In the west, Dungeons & Dragons (D&D) established a well-constructed and fully realised fictional universe (or multiverses) with a set of rich, strict and constantly evolving game rules and mechanics. Based on it, many of the fantasy RPGs such as Baldur’s Gate series, Planescape: Torment, Icewind Dale series and Neverwinter Nights series, helped bringing the world of sword and magic from pen and paper to the computer. Recent Dragon Age series succeed some of the best traits and elements from D&D and reinvented tactical role-playing games (TRPGs) and action role-playing games (ARPGs). Another series, The Elder Scrolls, defined the paradigm of open world RPGs in its vast world Tamriel, while alternatively, Diablo series innovated the gameplay form of “hack and slash” in ARPGs with its straightforward narrative and closed world settings. In China, by adopting the turn-based strategy combat form from Japanese RPGs such as Final Fantasy series, Xuan-Yuan Sword and The Legend of Sword and Fairy (Chinese Paladin) series continued to grow and became the most influential and well-received Chinese RPGs, mostly for their successful conveyance of traditional Chinese culture and impressive stories. Before the Chinese digital game market became dominated by online and freemium games, games such as Heroes of Jin Yong and Prince of Qin demonstrated that Chinese can make games of various genres and styles of cultural identity and high qualities. The hope of Chinese fantasy RPGs was relit by GuJian Qitan (Fantastic Tales of Ancient Swords), a brand-new fantasy RPG series that carries forward the Chinese cultural deposits. Despite the differences in subgenres and gameplay forms and styles, these fantasy RPGs represent magic and its mechanics and uses in ways that are influenced and informed by culturally specific sources such as myth, religion, natural philosophy and fantasy literature. As is generally perceived, the western culture is inherently influenced by Greek and Norse methodologies, western legends and folklore, Christianity and Ancient Greek Philosophy, from which western high fantasy literature gains the foundation of birth and growth and keeps inspiring creation of fantasies of western identities in the form of video games. While on the other side, Chinese methodology, legends, folklore and hundred schools of thought of Ancient Chinese philosophy (including Confucianism and Taoism) give rise to the culturally unique historical fantasy literature genres—Shenmo (Gods and Evils methodology, 神魔) and Wuxia (martial hero, 武侠). And unsurprisingly, nearly all Chinese fantasy RPGs, whether partially or wholly, draw their sources from these forms of fantasy literature. Nevertheless, do these distinctions inform considerable differences in the representations of magic and its uses in western and Chinese fantasy RPGs even when this medium originated from the west and takes its shape totally from a western approach and perspective? The essay will select some notable culturally specific sources and look into this question from several aspects of the representations of magic in fantasy RPGs—its form, function, classification, uses and users. What is Magic? There are quite some definitions of it. Oxford dictionary defines magic as “the power of apparently influencing events by using mysterious or supernatural forces” (Oxford Dictionaries, n.d.). Another more specific definition is given as “the art of producing a desired effect or result through the use of incantation or various other techniques that presumably assure human control of supernatural agencies or the forces of nature” (Dictionary.com, n.d.), and the other techniques include ceremony, ritual, the casting of spells etc. In Chinese, the word magic (魔法) literally means sorcery or witchcraft, which is supposed to be evil. To express the good use of magic in Chinese, the word theurgy or wonder (仙术) perhaps is more suitable. In video games, magic is conventionally defined, and represented, as with other subject matters, as simulation which mostly focuses on the casting of spells than other more “realistic” aspects of magic. This is because simulations in games are often represented metaphorically to convey meaningful gameplay to the player, and the simulation cannot be both broad and deep (Salen, K. and Zimmerman, E., 2004: 457). The definition can go beyond to incorporate the performing of supernatural feats which are similar to magic spells. Spell casting (feat performing) and practical magical techniques of creating magical items are the most exploitable aspect of magic that can be simulated and converted into meaningful game mechanics. Therefore, they are of the representations of magic being examined here. The general principles of magic are diverse. In a western high fantasy context, the power source of magic spells may be described as invisible particles that can be sensed and exploited by magic users (spell casters). In the D&D campaign setting Forgotten Realms, the Weave is the way through which raw magic was accessed, tapped into and used by casters of arcane magic (Cordell B. R., Greenwood E., Sims C. and James B. R., 2008: 50) and divine magic is drawn from the faith for specific deities or nature itself. Such description is hard to be found in Chinese fantasies. But by viewing these fantasy RPGs, one can discover that in form, function and classification, their magic systems all involve analogous simulations. 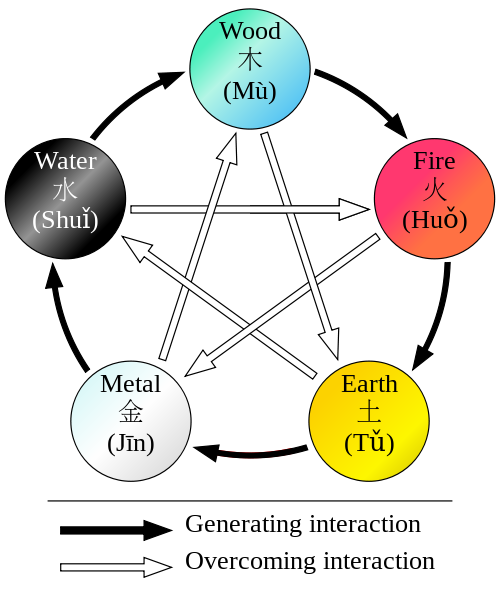 The system of classical elements, no matter what form it is in—the four elements or Wu Xing (the five elements), is one of the most representative. The classical elements reflect the natural philosophical views on how the world is formed, constructed and powered by essential, fundamental parts and principles. In Aristotle’s work On Generation and Corruption, he summarised the nature of the four elements—Air, Fire, Earth and Water and their interrelated properties of hot, dry, cold and wet. Aristotle also added aether, the heavenly quintessence (the fifth element) to this system. By abstracting this classical element system and assigning ludic properties to the elements, a basic and typical western elemental magic system then is constructed. A good example is the magic system in Might and Magic VI: The Mandate of Heaven (New World Computing, 1998). There are nine schools of magic in the game and four of them are elemental magic schools in accordance with the four elements and their properties. All four schools of Air, Fire, Earth and Water involve both offensive and defensive spells of their own, but they also include spells of other properties and functions of flight, speed, protection and alteration indicating the property of each element respectively. However, it is not always the case that the classical element system is directly used. 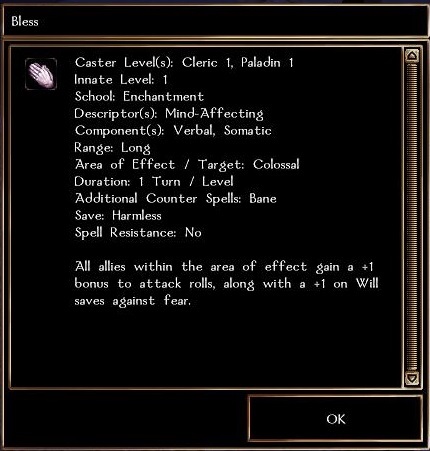 For example, the Sorceress in Diablo II (Blizzard North, 2000) can wield the elemental power of Fire, Lightning and Cold (Ice), which is a version of altered element systems widely used in many fantasy video games. And the elemental magic spells usually bring “status effects” with them as Fire burns the enemy, Lighting stuns the enemy and Ice freezes the enemy (and the list goes on as many more variants of elements can exist). In many cases, variants of the elemental magic system, such as the Evocation school spells that create energy out of the raw power of the Weave in the setting of Forgotten Realms can be more complex. As is often the case, the elemental magic system coexists with other schools or systems of magic to compose the complex, whole magic system. Notably, the classical four-element system does not have a predominate influence on the worldview or world settings of these western fantasy RPGs, although some sub-worlds, e.g. the elemental planes in D&D do exist to contribute to the panoramic multiverse. Wu Xing, the five elements as many people understand, is the Chinese counterpart of the western classical four-element system, but it primarily concerns the change and process rather than substances themselves and the word Xing possesses the meaning close to “changing states of being” (Eberhard, 1986: 93). So it should be better understood as the five phases or five movements. The earliest record of the theory can be found in written history books such as Guoyu, Zuo Zhuan and one of the five Confucian classics, Book of Documents. Zou Yan (305 BC – 240 BC), the founder and representative of School of Yin and Yang brought forth the thought of the two cycles of generating (creation) and overcoming (destruction) between the five phases of Metal, Wood, Water, Fire and Earth. The interactions and relations between the phases are shown in Figure 1. Wu Xing influenced and was employed in many traditional Chinese fields such as Feng shui, astrology, Chinese medicine, etc. Hence its influences spread to Chinese fantasies including fantasy RPGs. Prince of Qin (Object Software, 2002) is an action RPG that largely based its world settings and game mechanics on Wu Xing. Its magic system (incorporated in skill system) strictly abides by the rules of Wu Xing. For example, when casting the spell “Flying ice shards” from the school of Water on an enemy who possesses the property of Fire[i] (e.g. a fierce tiger) which is overcome by Water, the damage will be maximised. On the contrary, when casting the same spell on an enemy possessing the property of Wood which is generated by Water, the damage will be minimised and in cases form other games (e.g. The Legend of Sword and Fairy 5 Prequel), the spell will even heal the enemy instead. The rules and principles of Wu Xing go beyond the magic to act on the normal attack and defence when equipped items with Wu Xing properties. The attack (whether a direct attack with a weapon or casting a spell) thus induces the symbolic “status effect” of a certain phase (element): Metal stuns, Wood poisons, Water freezes, Fire blinds and Earth petrifies the enemy. As is the case with western fantasy RPGs, the original classical element system is not always strictly followed in numbers of Chinese fantasy RPGs. In The Legend of Sword and Fairy 5: Prequel (Softstar Technology (Beijing), 2013), as a result of the inclination towards a more western magic system that is more likely to be understood, Metal and Wood, which may confuse players who treat them as “elements” rather and phases, are replaced by Lightning and Air. However the change is, the two cycles of generating and overcoming are still in function along with characteristic supportive spells related to speed (Wood/Air), magic resistance (Water), physical damage (Fire) and physical resistance (Earth). As part of the traditional Chinese natural philosophy that shaped and embodied the worldview, Wu Xing in general has a relatively predominant appearance and representations in the magic systems of Chinese fantasy RPGs. Interestingly, another pair of notions manifests the analogy between the two classical element systems as well. In the west, it is known as Dark and Light; in China, it is known as Yin and Yang. Dark magic has many synonyms: Black magic, sorcery, witchcraft, necromancy, etc. Historically, practices of such evil and even blasphemous deeds (invocation of demons and conjuring the dead) have been accused and forbidden especially in Early Modern Europe and were taboos in Christianity. While the practices of Christian beliefs and sacred rituals involving holy relics, divination and theurgy then led to the interpretation and reinventing of Light (White/Holy/Divine) magic in fantasy contexts. In western fantasy RPGs, Dark and Light magic system also makes up a considerable part of the whole magic system. The schools of Dark and Light form Might and Magic VI: The Mandate of Heaven, the Necromancer’s summoning, poison, bone and curse spells and the Paladin’s auras and holy abilities from Diablo II and the schools of Entropy and Creation from Dragon Age: Origins (Bioware, 2009) are some of the well implemented magic systems that embody and utilise the characteristics of the Dark and Light magic legacies from the real world. These two distinct schools of magic always stand on the opposite sides: evil vs. good, death vs. life, destruction vs. restoration. They are always interconnected and interact with each other as the Light’s destruction for the undead usually means the restoration for the living, and vice versa. Also, the caster can even study both schools as they do not necessarily contradict each other in some of the games. Yin and Yang, also known as Yin-Yang, is the traditional Chinese natural philosophical concept about interconnected, interdependent and interrelated dualities. The concept has been the prime principle and guideline of traditional Chines medicine, martial arts and the divination classic I Cheng (Book of Changes). Actually, Yin and Yang is about the complementation rather than the opposition of dualities to form a dynamic, indivisible and integrated system. Dark and Light are among the many physical manifestations of Yin and Yang. It is so profound and abstruse that its applications in fantasy contexts are mostly reduced to the opposing Dark and Light. In The Legend of Sword and Fairy 5 Prequel, Yin and Yang are designed as paralleled elemental magic schools resembling Dark and Light magic schools with each focused on debuffs (weakening status effects) and healing. Yet in Xuan-Yuan Sword: Cloud of Han (Team Domo, 2007), Yin and Yang has been developed to a simple numerical polar system. For instance, a spell with the Yang property of 5 can inflict a higher damage on the enemy with the Yin property of 10 than the enemy with the Yin property of 5. That is to say the effect of the offensive spells is largely determined by the difference value between the Yin-Yang properties of the spell and the target. Additionally, this Yin-Yang magic system attempts to replace the magic system of Wu Xing by assigning spells in schools such as Water to Yin and spells in schools such as Fire to Yang by translating the common cognitions about the phases (elements). However, the healing spells are set to be neutral without Yin or Yang property to reflect the idea of the complementary dualities. Before diving deeper in the form, function and classification of magic, by viewing all these specific magic systems (schools) of elements and Dark (Yin)/Light (Yang) from the two groups (western and Chinese fantasy RPGs), some inferences can be made. On one hand, culturally specific sources do inform differences in the presentation of the magic systems (schools). The two groups differentiate each other in the variety of categories and forms of the magical elements and some specific mechanics. Some of the most noteworthy points are the polar Yin-Yang magic system and the weighing difference of spells on different targets induced by the generating and overcoming cycles of Wu Xing. On the other hand, however, these magic systems (schools) form the two groups also share many common traits and mechanics. First, as the limitation of the simulations in games that has been mentioned, even though both western and Chinese myths, religions and other cultural sources interpret the essentially same magic spell diversely, it is neither practical nor necessary to represent the different interpretations in games. One simple fact is that Fire Ball, no matter what it is originated or called in the game, no matter it is of demon’s, god’s, Taoist’s or Buddha’s fire, always works in the way alike in games. Second, each school from the two groups can comprise offensive, defensive or supportive (including healing) spells according to the specific characteristic of the school. Any of the spells can be classified into these three meta-function types. Third, spells from schools of each group can inflict main and status effects on the target (enemy or ally) in similar ways, effects and results. In some cases the nature of a school from one group can be comparable and matched to that of another school in the other group, the Fire (western) – Fire (Chinese), Dark-Yin and Light-Yang for instance. In terms of conventional definition of magic in video games, the existing Chinese fantasy RPGs haven’t been able to interpret and embody the culturally specific sources of magic in a thorough approach to result totally differently from the western ones. These similarities and analogies are caused by the conventional requirements and grammars of the gameplay of RPGs in which the western fantasy RPG conventions and paradigms prevail. The magic systems that have been closely examined are of the analogous simulations and intuitively comparable in their forms, functions and classifications. But by looking beyond them, and into both panoramic and unconventional views of the form, function, classification and others aspects of magic, the uses and users, for instance, the more significant distinctions and similarities between the magic systems of the two groups can be observed. As the western and Chinese fantasy contexts distinguish each other in their origins, their influences on games therefore should manifest themselves differently. Indeed, the western high fantasy literature, exemplified by J. R. R. Tolkien’s The Lord of the Rings trilogy, takes the grand fictional approach of creating an entirely alternative and fictional world which is internally consistent, usually with a serious tone and an epic scale (Martin, 2002: 34). Thus the magic factor in such a secondary world turns to be systematic and comprehensive to be cohesive with the secondary world. Thus the realm of the magic expands to incorporate more magic spells apart from the ones in the elemental and Dark/Light magic schools. This is well realised in direct sources of western fantasy RPGs such as D&D. One of the most representative computerised D&D games Neverwinter Nights (Bioware, 2002) is set in the Forgotten Realm, in which the magic system is very complex and comprehensive. Containing almost 300 spells, implementing multiple ways to classify these spells is necessary. Therefore the spells are classified into two major types (Arcane and Divine), eleven spell levels, and eight magic schools and sorted by character classes. In addition, every spell is described in elaborate details from spell level to the duration of the spell with a formal structure (see Figure 2). Similarly, in The Elder Scrolls V: Skyrim (Bethesda Game Studios, 2011), there are 109 spells which are categorised into five mastery ranks and five magic schools, plus more than 20 dragon shouts (ancient form of magic). The large quantity and variety of spells lead to the classification of magic schools not by their nature like elemental magic schools, but by their functions, from Abjuration, Conjuration and Evocation to Alteration, Destruction, Illsion, etc. Such a huge formation of functional magic schools can embody nearly all magic spells including all those of the elemental and Dark/Light magic schools that have been examined previously, but not vice versa. By contrast, there are no applications of such way of classification in Chinese fantasy RPGs, as the Chinese specific fantasy literature which influences them usually takes a more historical and romantic rather than grand fictional approach of the same level. Romantic authors usually don’t care the theory or the form of the magic as it might just be described romantically like”…shook his body and changed into a pine tree” (“摇身一变，就变做一棵松树”) (Wu, 1980, wittern in mid-sixteenth century: 21). Thus the magic systems in Chinese fantasy RPGs are less systematic and comprehensive (though the insufficient development of the video game industry can be another main reason), even when counting a special form of magic— Chinese martial arts. However, the “martial magic” is perhaps the most unique trait that distinguishes Chinese fantasy RPGs from the western, even all the other ones. Depicted in many Wuxia fiction works and influenced by practical martial arts from martial schools such as Shaolin (Buddhism) and Wudang (Taoism), the Chinese martial arts in fantasy contexts evolves from conventionally defined “Kong Fu” to incorporate more fantastic, even paranormal essence. Compared to magic spells, feats of martial arts are rendered with more characteristics of each character. In Heroes of Jin Yong (Heluo Studio, 1996), a game featuring the works by the famed Wuxia novelist Jin Yong, all the magic spells are represented in the form of feats of martial arts. Other games, such as The Legend of Sword and Fairy 5: Prequel and GuJian Qitan (Shanghai Aurogon, 2010) also incorporate feats of martial arts as complements to the magic spells of each character. The names of the feats such as Nine-Yang Feat (九阳神功, from Heroes of Jin Yong), Painting with Five Elements (丹青化五灵, from The Legend of Sword and Fairy 5: Prequel) and Sword of Void and Unreality (空明幻虚剑, from GuJian Qitan), tend to show off the romantic, poetic magnificence, so usually these feats as well as the other magic spells are only described and implemented in a simple manner far less complicated than those descriptions of magic spells in many western fantasy RPGs (see Figure 2). Intrinsically, the feat of martial arts possesses the similar nature and function of supernatural powers as the magic spell, but represented in more physical (compared to the more nonphysical magic spells) martial forms. Performing a feat is essentially the same as casting a spell. To take a few examples, Nine-Yang Feat is a kind of inner power which actually boosts the stats of the character as a passive spell (ability) does. Painting with Five Elements is a combo of offensive force of all the five phases (elements) of Wu Xing. And Sword of Void and Unreality is a set of moves that manipulate the Qi (paranormal vigour) of the sword to launch an assault. In general, the feats of martial arts differ from school to school, from low to high in terms of the affinity with magic, but they still comply with the western gameplay conventions and paradigms, especially the three meta-function types of magic powers. The existing magic systems in Chinese fantasy RPGs are comprised by feats of martial arts and other spells (no more than the ones in Wu Xing and Yin-Yang magic schools) of relatively small quantity and simple in form and classification compared to the western counterparts. In addition to the particle magic system applied in combat, there are also practical magical techniques of creating various magical items including attaching magic properties to normal items and making potions. The Chinese art of creating magical items, usually known as “enchantment” crafting and alchemy in western fantasy RPGs, is culturally unique as well. Overall, the representative Chinese alchemy form Taoism and the sealing and metamorphosis (封印与炼化) of monsters and demons from many Shenmo and its variant fictions have great influences on Chinese fantasy RPGs. As the creed of Taoism, the pursuit of achieving ecstasy, longevity or immortality to transcend mortals and offer salvation to the people comes with the Taoist alchemy of creating elixirs and rituals of exorcism (Robinet, 1997: 25). In simulations and grammar of games, the practices have been adapted to suit the needs for the match of the western game notions of enchantment, crafting and alchemy. In The Legend of Sword and Fairy 5 Prequel, certain types of monsters can be sealed and converted to various runes that can be used for the purpose of enchantment as the runes do in Dragon Age: Origins. Also, different runes, herbs, minerals, artefacts and equipment can be refined in the alchemist means to create new runes, medicines, elixirs, artefacts and equipment whereas the western crafting and alchemy appear more mundane. The contrast is enlarged when considering games like Xuan-Yuan Sword: Cloud of Han, in which even monsters can become the materials of the multi-purpose alchemy. As for the principles of using the magic powers (spells and feats), there are not so many differences between the two groups but with some exceptions. In many cases, particularly with RPGs that are action-orientated, a particular variable is designated to manage the use of magic powers—usually known as mana in western fantasy RPGs, sprit (for spells, 元神) and Qi (for feats of martial arts, 元气) in Chinese fantasy RPGs. There seems to be different principles of confining and directing the use of magic in western and Chinese cultures as the names of the variables for the magic powers suggest, but again as the simulation of magic systems is orientated towards the gameplay, the differences become shrouded under the same functions of the variables—they all indicate how much energy is left there to use the magic powers. This effect also applies to those magic systems of the two groups relying on the management mechanism of “cooldown” of the magic powers. However, besides the conventional, usually simplified principles of magic use, there are also some exceptional ones. Under the influence of the grand fictional approach, the strict and complex rules on magic spell learning and casting in D&D can exemplify how a set of comprehensive principles of magic use is fully realised. As the source of the arcane and divine magic differs, the two types of magic have different principles on the magic spell learning (acquiring) and casting. Apart from the type of magic spells the class can learn, there are several other rules, such as the verbal, somatic and material components required to cast certain spells, which other rules are derived from, such as preventing the spell casting by silencing the caster and spell failures caused by equipping armours. Also, all magic users have to rest so as to memorise or prepare the magic spells, but they can also directly use the magical scrolls that have the words of spells written down to be ready for release. Such detailed and abundant rules contribute to an exceptionally comprehensive gameplay style which hasn’t been observed in existing Chinese fantasy RPGs, of which the romantic approach in Chinese fantasies that depict magic use romantically and less systematically can be the reason besides the objective insufficiency in development of the Chinese video games industry. Of course, magic is used by its practitioners, the magic power users. In methodologies, Prometheus and Nüwa’s (a goddess in ancient Chinese methodology) creation of human beings might be among the most ancient magic, thus making them two of the very first magic users. From divinity to mortal, different magic users gain their access to magic differently. Notably, nearly all fantasy RPGs choose to make the player characters mortals (no matter the race). Even if they possess some kind of divinity, it always remains sealed until some points. This gameplay convention can be explained by employing Mihaly Csikszentmihalyi’s famous Flow theory—a game should offer right amount of challenges to match with the player’s ability, which allows him/her to delve deeply into the game (Chen, 2006). The player experience the game flow while characters as well as the player grow and be challenged as they start with little knowledge about magic and acquire more magic powers (also the player abilities) gradually along with the adventure, finally becoming great masters of magic. But with different fantasy contexts, western and Chinese fantasy RPGs portray the mortal magic users and deliver the magic learning experience variously. In terms of race, the grand fictional approach of western fantasies offers a wide variety, with each race possessing different inclinations towards magic. Conventionally, elves are endowed with inherent gift in magic while dwarves are naturally isolated from magic and humans’ mastery of magic stand in between the two races’. In contrast to the multi-racial conventions, in Chinese fantasy RPGs, the player characters are usually humans, even though other races do exist and are even classified (e.g. the six circles of God, Demi-god/Immotal (仙), Human, Evil spirit (妖), Demon (魔) and Ghost in Legend of Sword and Fairy 5 Prequel). Although some characters can be evil spirits or demons (e.g. Long Ming in The Legend of Sword and Fairy 5 Prequel), they are all humanoid and hard to be distinguished when their true identities are not revealed. This phenomenon is formalised by Chinese supernatural tales and Shenmo fictions such as Strange Stories from a Chinese Studio and Journey to the West. But generally, humans are usually the weakest when considering the magic inclinations. In terms of class or profession of the magic users, wizard, sorcerer, warlock, mage, druid and cleric are among the various western magic practitioners. Take the iconic wizard for example, a wizard is usually described in western high fantasy literature and appears in fantasy RPGs as a robed, intellectual, less physically strong, often old man, who often holds a staff as the weapon. The grand fictional approach also tends to portray these magic professions systematically and comprehensively. One extreme case is the different specifications of the magic users in D&D. Take wizard and sorcerer for example, although they share the same spell base, their ways to learn and use the spells are quite different. A wizard needs to acquire and study spells from a spell book and make “formulas” to memorise various magic spells. He has a wide access to almost all spells. A sorcerer, however, is born with the innate talent of magic (dragon lineage), which means that no magic study or memorisation is needed as his magic power grows itself but this also makes him much more limited in the scope of spells than the wizard. By contrast, the concept of class or profession in Chinese fantasy contexts is usually blurred and not emphasised. In most of the Chinese fantasy RPGs that have been discussed here, the professions of the player characters are not explicitly stated. Instead, the school of the magic users is more crucial. As is often the case, the iconic Chinese swordsman (剑侠) being depicted in almost every Wuxia fiction, is also frequently represented in most Chinese fantasy RPGs. Although the swordsmen usually appear in a common figure—a chivalrous man who wears leather or cloth apparels, wields a long sword with various movements and can even unleash powerful spells, their magic powers can differ as they come from different schools of the martial arts. A disciple of a secular school may not have an impressive command in magic spells but can master advanced feats of martial arts. Conversely, a disciple of a religious school, Taoism (or a similar fictional school, e.g. the Shushan school in The Legend of Sword and Fairy 5 Prequel), for instance, can enhance his martial arts with more transcendent magic powers as the cultivation according to the doctrine towards immortality. Riding sword (御剑) in The Legend of Sword and Fairy series, as a romantic way of fast travel compared with the fast travel in western fantasy RPGs, is the ultimate display of the Chinese fantastic ideal of harnessing the magic and becoming the “sword- immortal” (剑仙). As one of the most appealing gameplay elements permeates the fantasy RPGs, magic is represented in most fantasy RPGs as magic spells (feats), spell casting (feat performing) and practical magical techniques of creating magical items. The essay has examined some of the most representative western and Chinese fantasy RPGs. By inspecting specific magic systems of elements (Wu Xing) and Dark/Light (Yin and Yang) of the two groups (western and Chinese fantasy RPGs) at a close range, they are represented as analogous simulations and intuitively comparable in their forms, functions and classifications. However, when it comes to the panoramic and unconventional view of the form, function, classification and the uses and users, the more significant distinctions and similarities between the representations of magic of the two groups are observed.The answer to the question of whether culturally specific sources inform differences in the representations of magic and its uses between western and Chinese fantasy RPGs are not simple and can be concluded as follows. On the one hand, the answer can be partially positive. The two groups can differentiate each other in the variety of forms and classifications of the magical elements in elemental and Dark/Light magic schools and some specific mechanics (e.g. the polar Yin-Yang magic system and the weighing difference of spells on different targets induced by the generating and overcoming cycles of Wu Xing). Moreover, the grand fictional approach of western high fantasy literature and the romantic approach of Chinese specific fantasy literature have direct influence on the different levels of systematisation and comprehensiveness of the magic systems of the two groups, resulting in the more (western) / less (Chinese) systematic and comprehensive magic systems in the form, function, classification, uses and users. The different approaches also shaped the culturally specific representations of magic such as the Chinese feats of martial arts as the “martial magic”, multi-purpose Chinese alchemy and the significant differences in the portraits of magic users. On the other hand, however, the answer can be partially negative. The forms and classifications of the magic systems, especially the ones that have been closely examined and compared can share many common traits because of the limitation of the simulations in games. In terms of function, the culturally specific sources of the two groups haven’t been able to be simulated with results in thoroughly different gameplay. The limitation also applies to the principles of the use of magic in most cases. As the fact that western fantasy RPG conventions and paradigms prevail, these similarities and analogies are caused by the conventional requirements and grammars of the gameplay of the RPG which originated from the west and takes its shape totally from a western approach and perspective. Overall, culturally specific sources inform considerable differences on the outer representations of magic and its uses related with audio-visual and variable, evolvable aspects of magic—form, classification, uses and users. But the function as the core aspect of magic, which relates most closely to the gameplay, is less influenced by the culture, as the function of the “real magic” does too. Nevertheless, when teleported into one wonderful imaginary world after another and empowered with powerful magic, we players will always be amaze by magic, whether it is Magic or magiC. Aristotle, translated by H. H. Joachim (Written 350 B.C.E) On Generation and Corruption, [Online], Available: http://classics.mit.edu/Aristotle/gener_corr.html [01 Apr 2013]. Bethesda Game Studios (2011) The Elder Scrolls V: Skyrim (Multi-platform), Bethesda Softworks. Bioware (2002) Neverwinter Nights (PC), Infogrames/Atari. Bioware (2009) Dragon Age: Origins (Multi-platform), Electronic Arts. Blizzard North (2000) Diablo II (PC), Blizzard Entertainment. Chen, J. (2006) Flow in Games, MFA Thesis, School of Cinematic Arts, University of Southern California, [Online], Available: http://www.jenovachen.com/flowingames/thesis.htm [16 Apr 2013]. Cordell B. R., Greenwood E., Sims C. and James B. R. (2008) Forgotten Realms Campaign Guide, Renton: Wizards of the Coast. Dictionary.com Magic | Define Magic at Dictionary.com, [Online], Available: http://dictionary.reference.com/browse/magic [01 Apr 2013]. Eberhard, W. (1986) A Dictionary of Chinese Symbols, London: Routledge and Keegan Paul. Martin, P. (2002) The Writer’s Guide to Fantasy Literature: From Dragon’s Lair to Hero’s Quest, New York: Watson-Guptill Publications. New World Computing (1998) Might and Magic VI: The Mandate of Heaven (PC), 3DO. Oxford Dictionaries Definition of magic in Oxford Dictionaries, [Online], Available: http://oxforddictionaries.com/definition/english/magic?q=magic [01 Apr 2013]. Robinet, I. (1997) Taoism: Growth of a Religion, Stanford: Stanford University Press. Salen, K. and Zimmerman, E. (2004) Rules of Play, London: The MIT Press. Stern, E. (2002) ‘A Touch of Medieval: Narrative, Magic and Computer Technology in Massively Multiplayer Computer Role-Playing Games’, Computer Games and Digital Cultures Conference Proceedings, Tampere, 257-276. The Forgotten Realms Wiki , [Online], Available: http://forgottenrealms.wikia.com/ [04 Apr 2013]. The use of the word RPG in this essay is always referring to the RPG in the video game context. When referring to a specific magic system, the word “school” is used as an equivalent synonym. [i] Some of the Chinese text is translated by the author. The original text is given in the brackets. This entry was posted in Writtings and tagged fantasy rpgs, Theory.